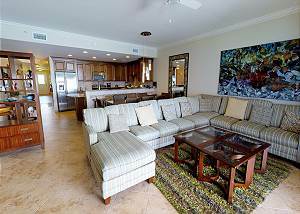 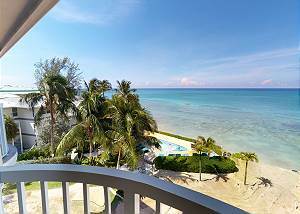 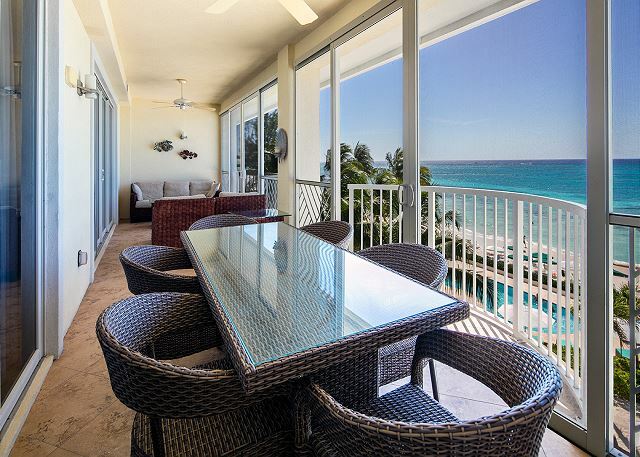 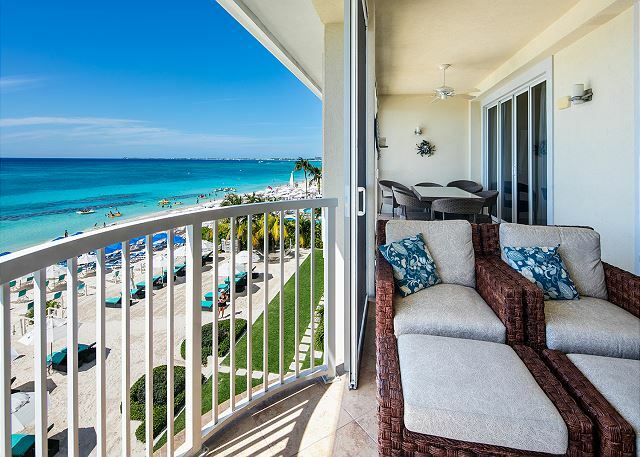 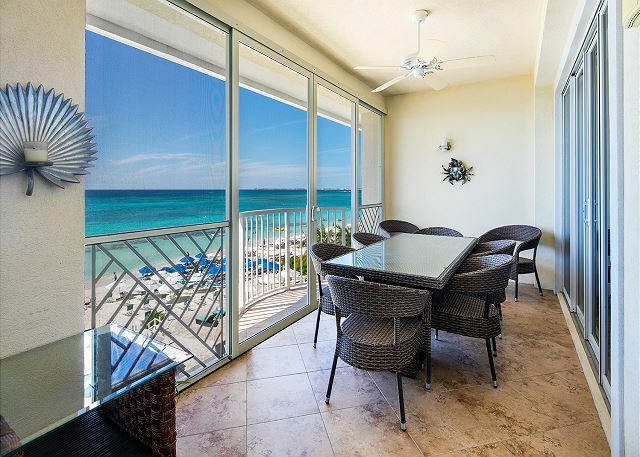 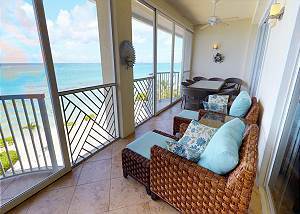 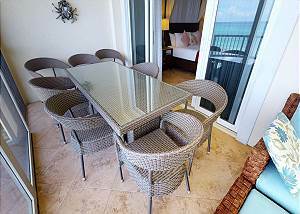 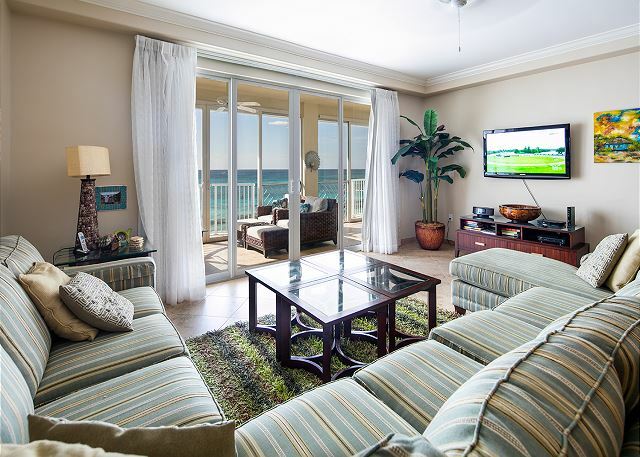 Located on the 3rd floor, villa #20 has a spectacular view of Seven Mile Beach. 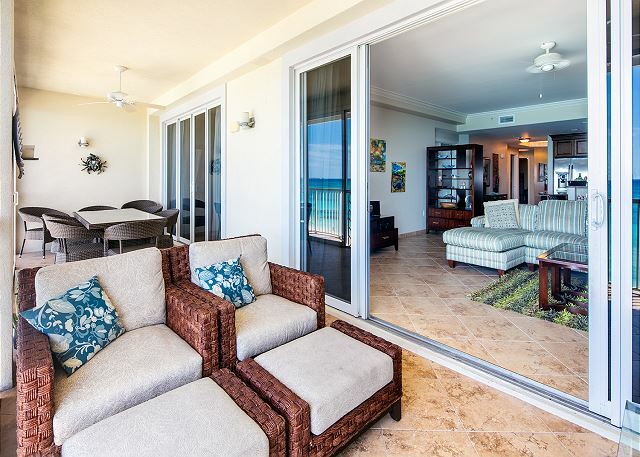 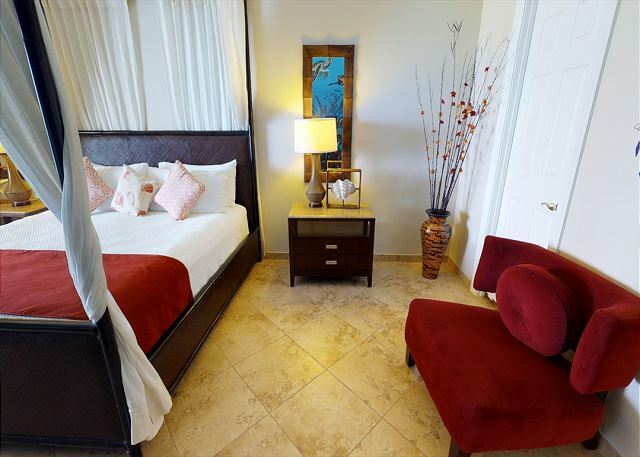 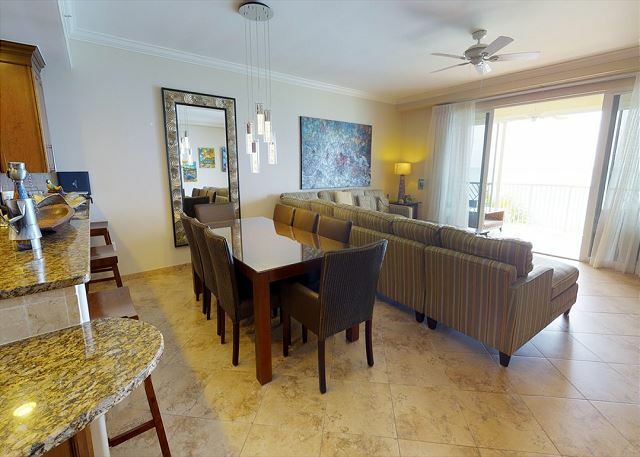 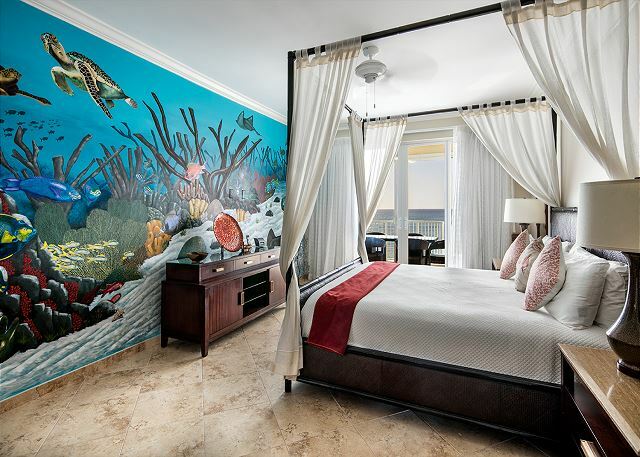 From its large private screened patio you can walk out onto two separate open balconies to enjoy an unobstructed view of the crystal clear waters of the Caribbean Sea, our private beach and heated swimming pool. 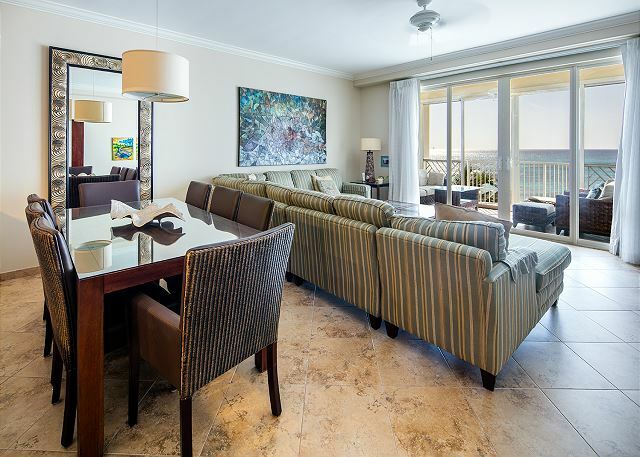 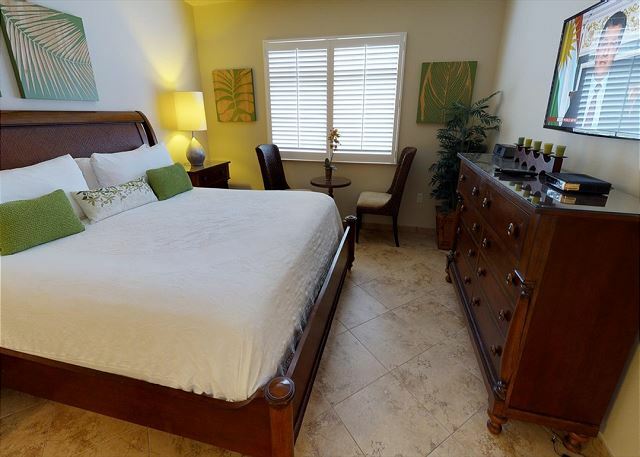 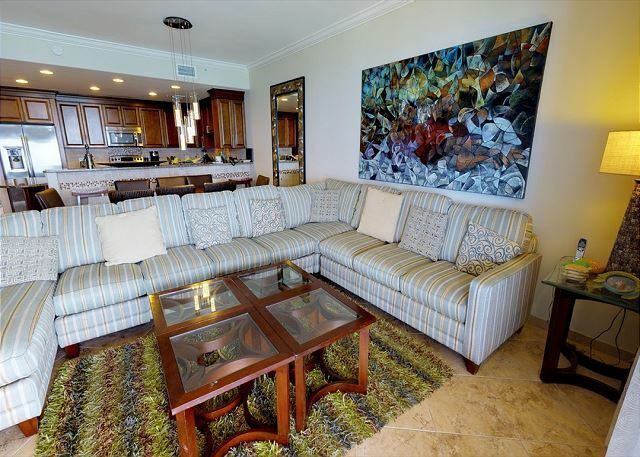 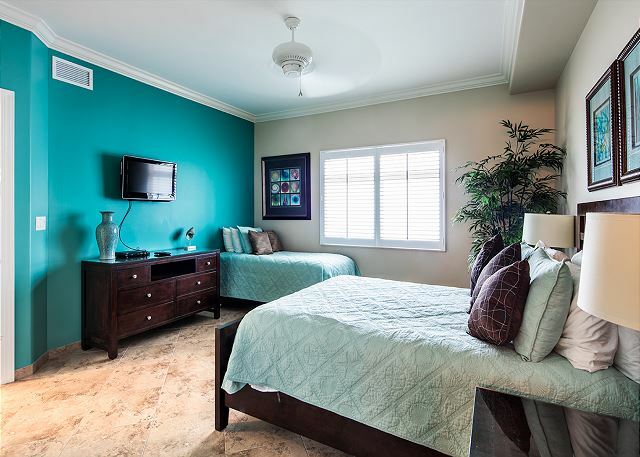 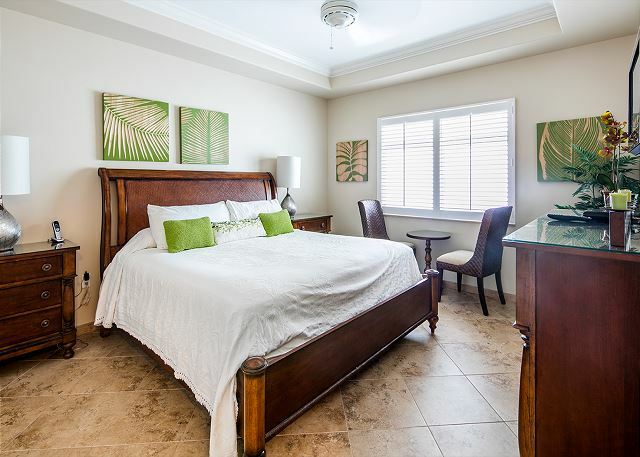 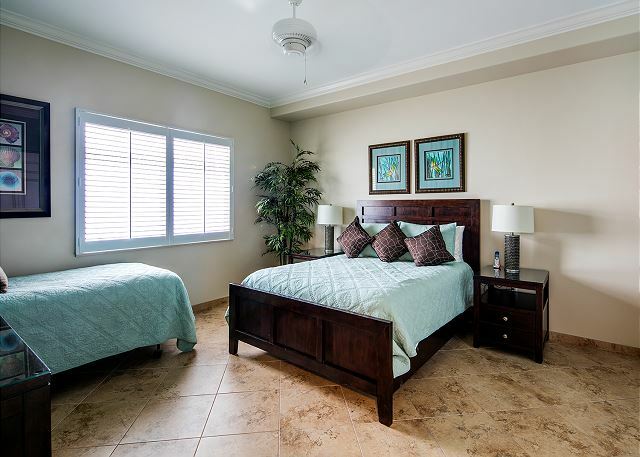 Master suite also has direct access to screened and open patios with full ocean view. 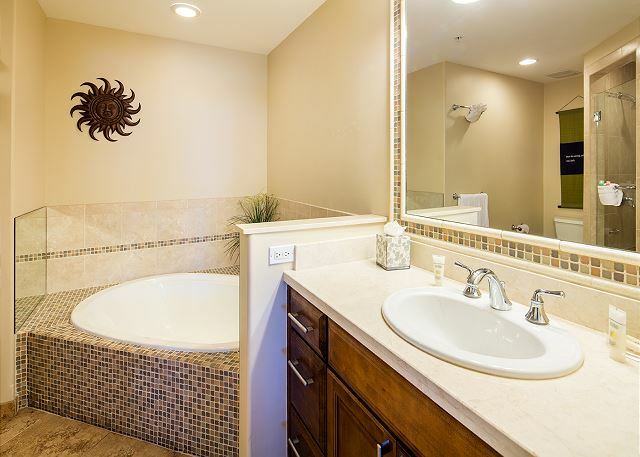 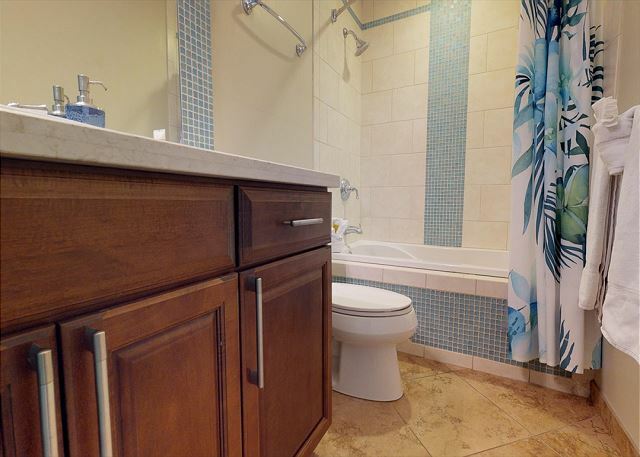 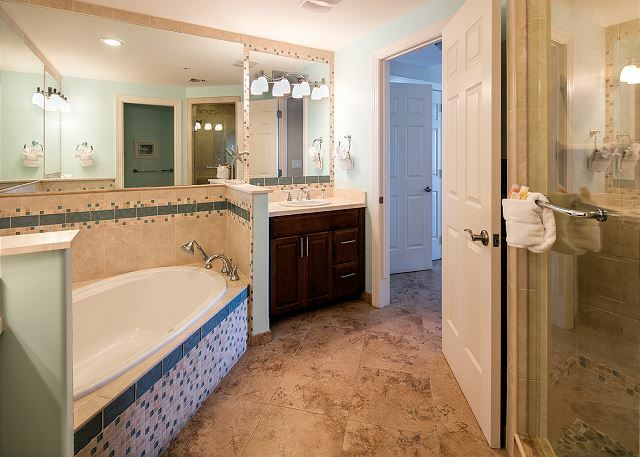 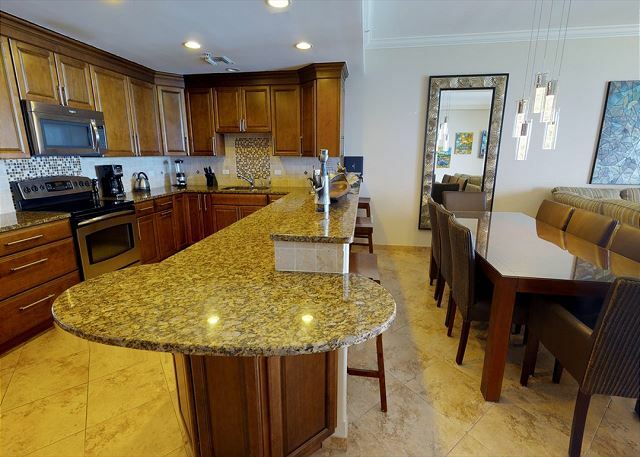 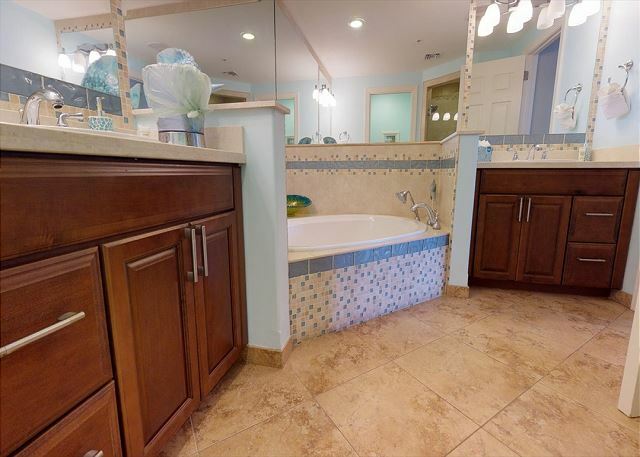 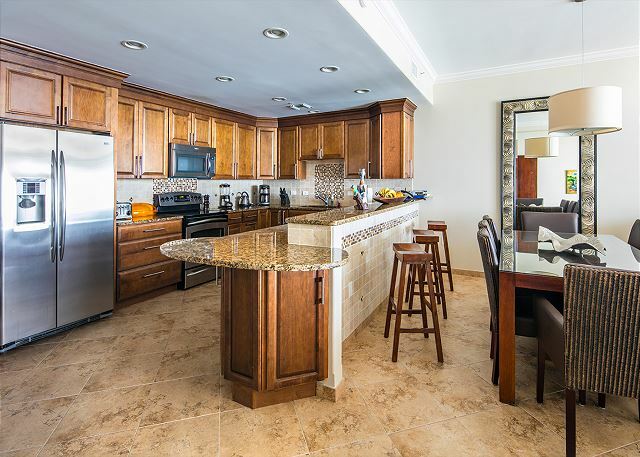 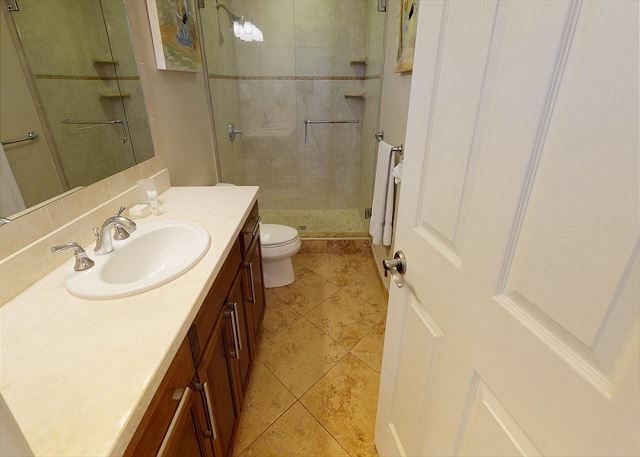 This 4 bedroom, has 4 full bathrooms offering extra convenience to a large family. A large fully equipped gourmet kitchen with a breakfast bar and an 8 seater dining table offering comfortable inside dining. Furnished with a large comfortable sectional sofa, a 46" flat screen plasma television and Blu-ray player, this spacious oversized living room will be a popular area for family gatherings. 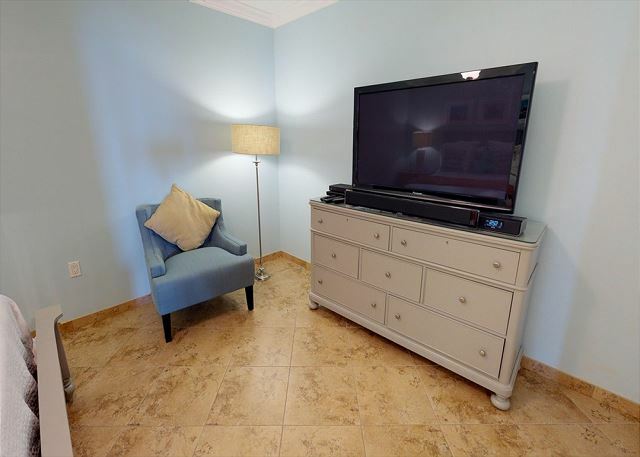 plasma television with Blu-ray player, Dish Network programming and a sound bar speaker system. 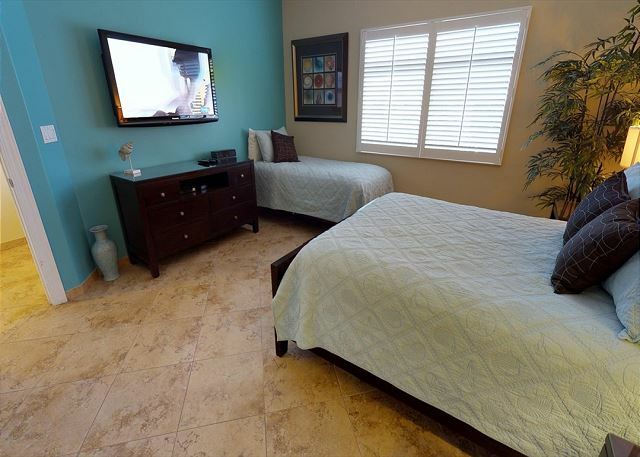 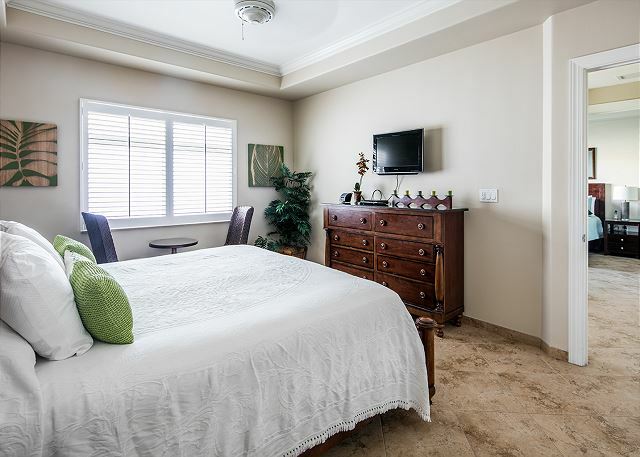 Guest bedroom and 3rd bedroom and 4th bedroom all have a 26" flat screen LCD television/DVD player combo and Dish Network programming. Bedding: King size bed in master bedroom, king size bed in guest bedroom, queen size and twin bed in 3rd bedroom and queen size bed in 4th bedroom room. 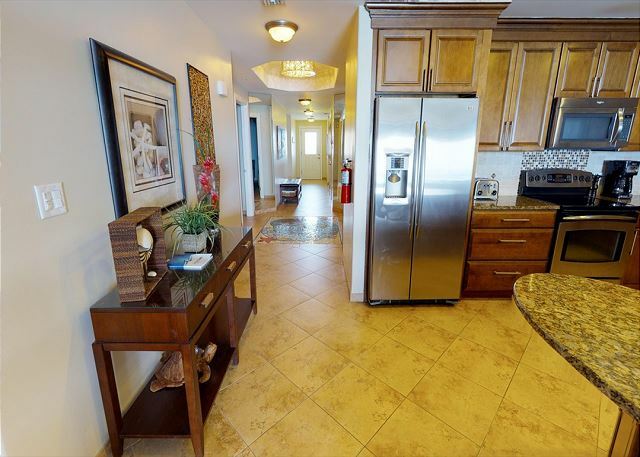 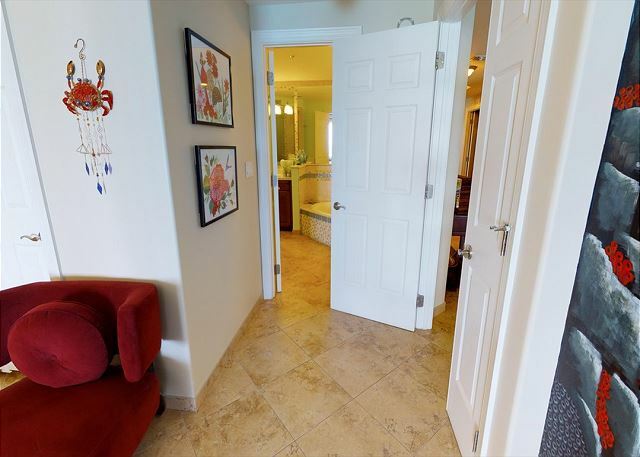 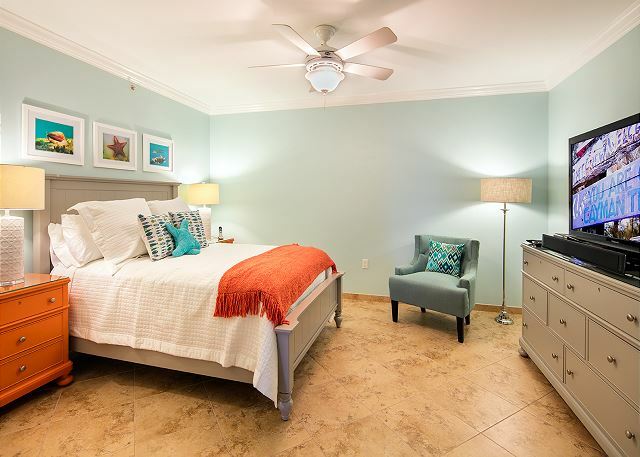 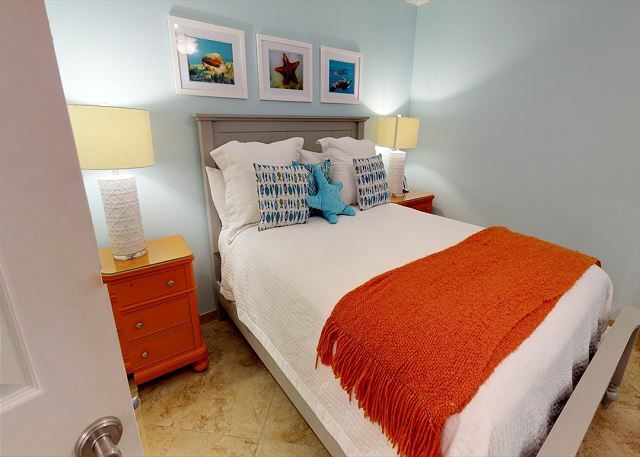 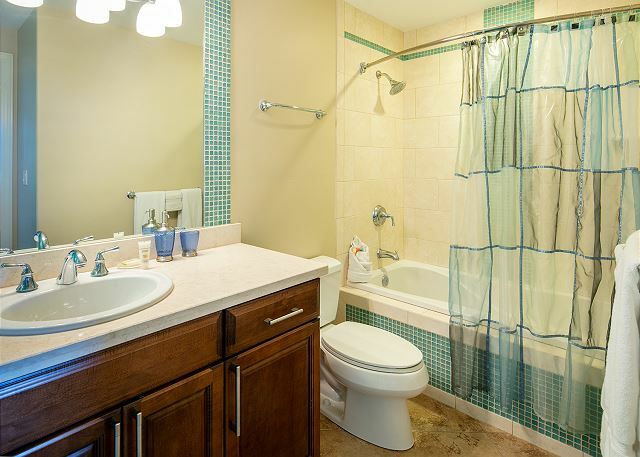 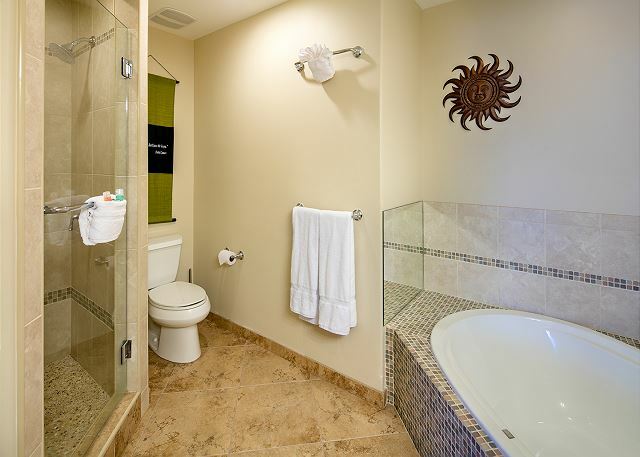 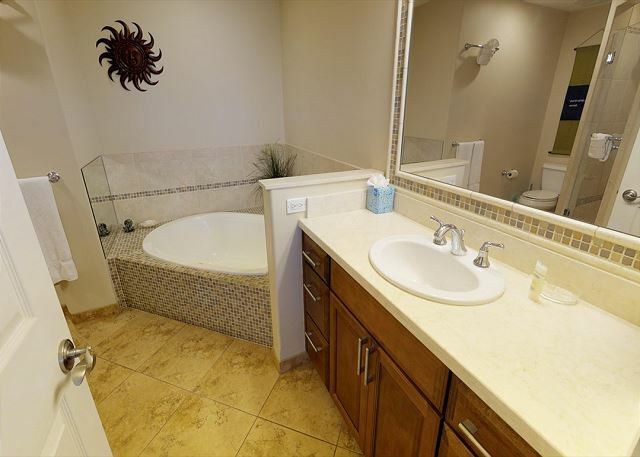 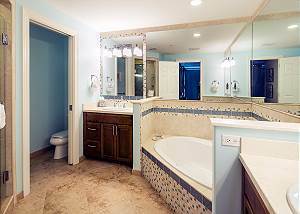 Additional amenities in villa: Full size washer/dryer, iron and iron board, hairdryer in each bathroom and beach towels. Villa 20 at South Beach Bay Club was perfection. 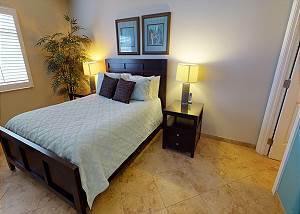 The decor was beautiful and accommodations were impeccable. The place was so clean and the kitchen was fully stocked with everything you need to cook if you wish. 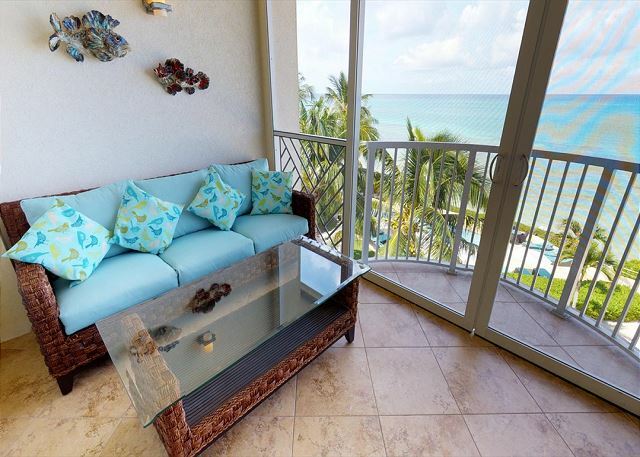 The balcony provided an amazing view of 7 Mile Beach. 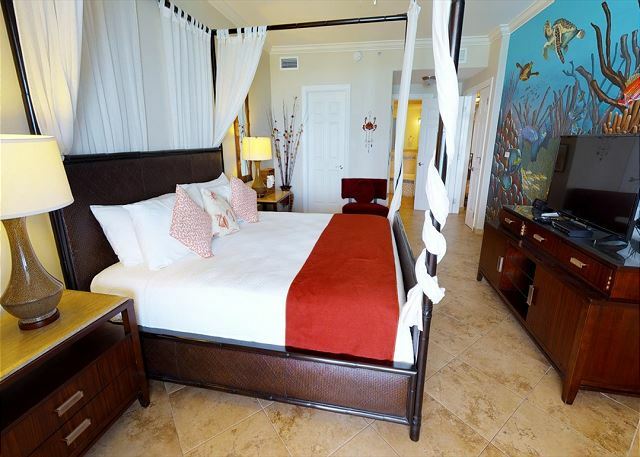 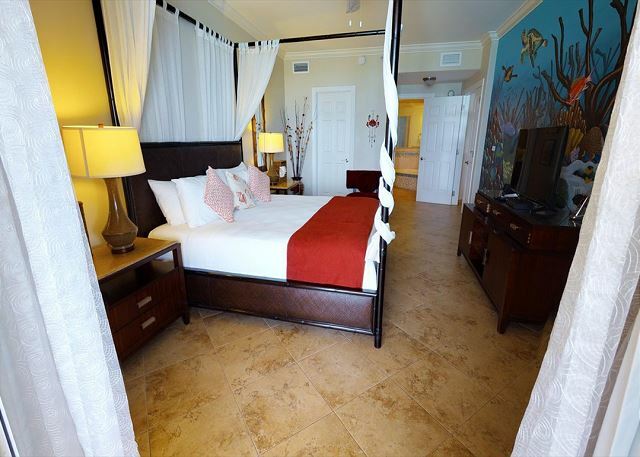 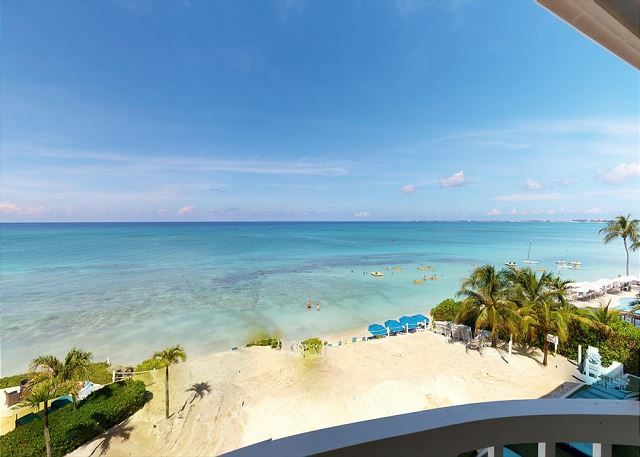 We would definitely stay here again the next chance we get to visit the Cayman Islands! Overall a good experience but with a few problems. Check in was one hour late. 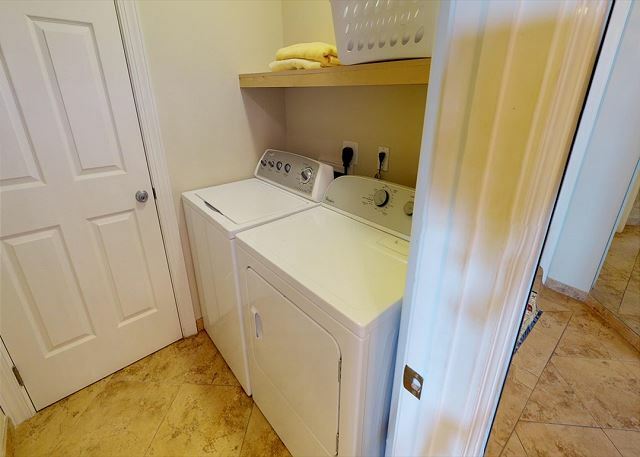 There was a problem with our refrigerator and we had no water in the entire condo for most of the day because of this. 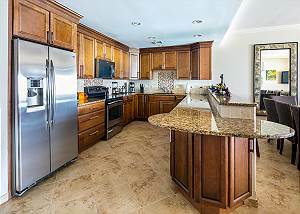 The water never did work in the refrigerator during our stay. Maid service was very poor. We did not get maid service one day because they overlooked us. When they did show very little cleaning took place beyond making the beds and leaving clean towels. 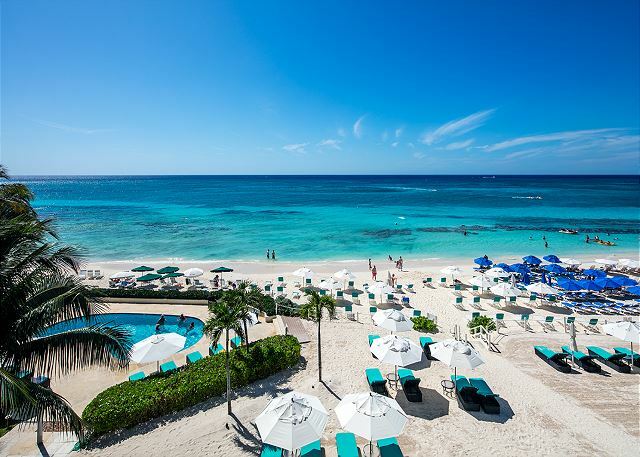 These were not big issues, but when you are paying almost &1000 per day the least you should expect is an apology from management for the inconveniences. 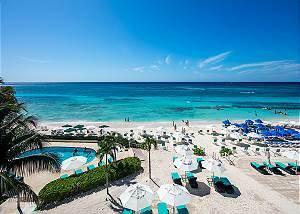 It was awesome, right on the beach with a clean pool right there! Great location and friendly staff. 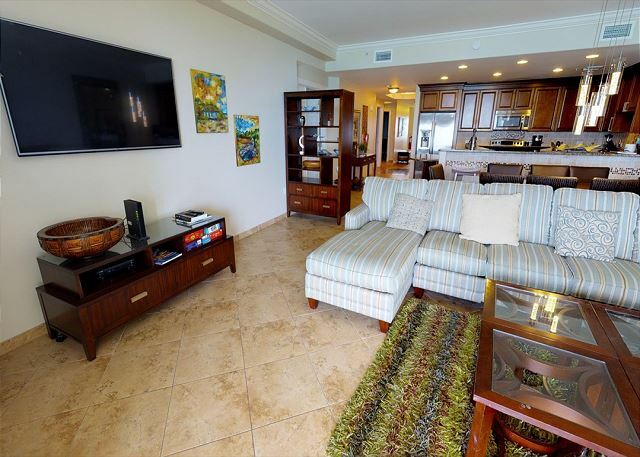 Everything we needed in the condo, including toys for the beach and pool!